Slate shingles have been known to last anywhere from 80 to 100 years and have some of the best water and damage resistance properties, which is ideal for frigid winter temperatures. Color options for slate shingles include green, black, gray and red. When you own a slate roofing, you will need to deal with repairs like flashing replacement, replacing slate tiles because of weather conditions or fixing fasteners. In most cases you will need to rely on a slate shingle professional for these repairs. Because these materials are so heavy to deal with, there is serious risk of personal injury if you try to DIY repairs. And, oh yes, slate roofs are heavy—and expensive—putting them out of the reach of most property owners. 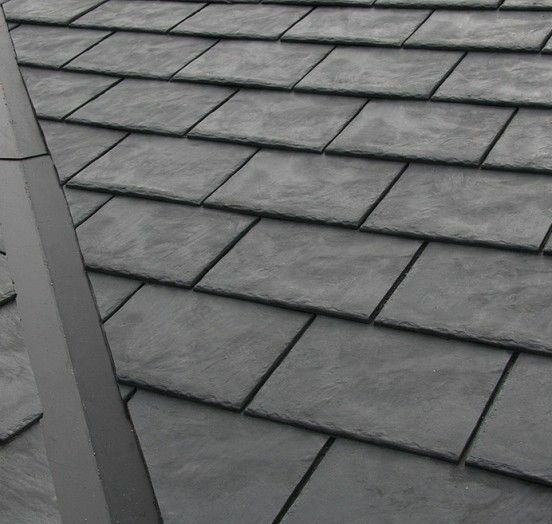 On a traditionally installed slate roof, half of each slate is never seen, because it’s tucked under the piece above it. We’ve replaced this wasted slate with a high-tech waterproofing material. With this ingenious design, the TruSlate® System can be installed on almost any roof. It goes without saying—before you select your next roofing system, you owe it to yourself to consider the advantages of a TruSlate® roof. In fact, why even consider a plastic imitation, when you can get the real thing for about the same price—and for only a fraction of the cost of traditionally installed slate? Call TRS for a quote on Slate Roofing. We can create a slate roofing design that will stand the test of time and withstand the harsh Oklahoma weather conditions.